Dr. Captain completed ophthalmology training program from Maharaj Nakorn Chiangmai medical university (Largest medical university of northern part of Thailand) and finished Sub-specialist Vitreoretinal training from Siriraj medical university since 2008. Dr. Captain was highly recognized among Thailand ophthalmologist society as a modern generation of ophthalmologist that has a lot of experience regarding Lens replacement surgery (Cataract/RLE surgery) with modern premium lens implant (especially Multifocal lens implant). In 2010, Dr.Captain was recognized by Alcon Laboratories (Thailand) Ltd (Alcon Laboratories is one of the world’s largest Multifocal lens manufacturer). as a top-three Thailand Multifocal IOLs user. 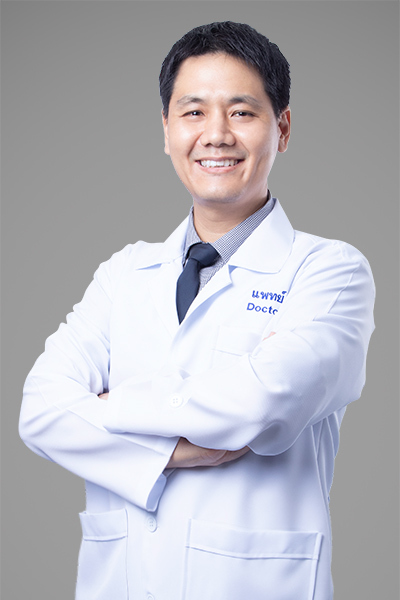 He was also invited to contribute as a speaker and share his experience and his idea regarding Multifocal lens implant surgery in many conferences in 2010 and 2011 (both Thai and English speaking Symposium). He regularly attends both domestic and international meetings and academic seminars overseas to keep updating of the latest techniques and best treatments. He was invited from major artificial lens manufacturer such as Alcon and Carl Zeiss to become guest speaker in many seminars in Thailand.